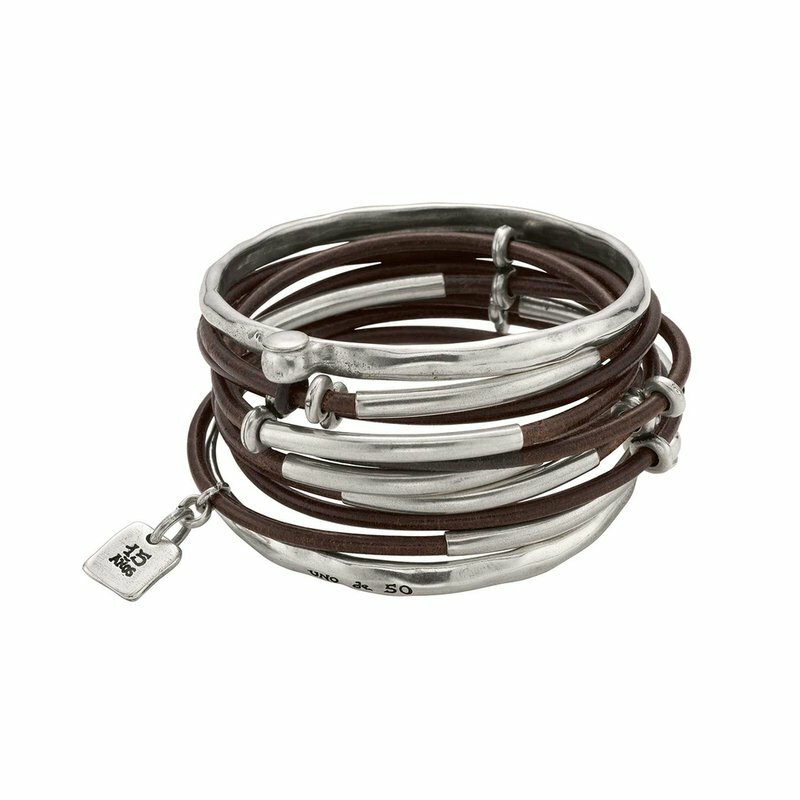 Adorn your wrists with UNOde50's cuff, braided, leather and charm bracelets, made in Spain. Our unique, handcrafted process combines crystals, beads and silver & gold plated metals to create imaginative leather cuffs and bead bracelets for bold women. Metal bracelet clad with silver. Store the piece in its original bag or in a closed box, in order to protect it from air, direct light or humidity. Avoid, as far as possible, any contact with perfumes or other cosmetic products. Clean with a soft cloth or with a non-abrasive silver cleaner. Clean with a soft cotton cloth, damped with warm water and mild soap in case the piece is very dirty. Clean leather parts with mild soap or an unscented and colorant free moisturising cream. Use a soft cloth to enhance the brightness of the beads.